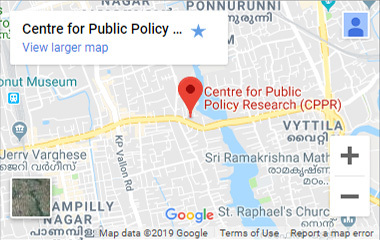 Dr D Dhanuraj, chairman of Kerala headquartered think-tank Center for Public Policy Research (CPPR), says the the current government’s economic reforms seem to be helping only the rich, while those at the bottom of the economic hierarchy continue to struggle with social mobility. The government should invest more in agriculture, education and healthcare, and not just big ticket infrastructure projects, he says. Dr Dhanuraj says that PM Modi’s pet experiment of demonetisation has worsened an already bad economic inequality in the country, as he noted that 85 per cent of India’s workforce is in the informal sector. 1. What are the main reasons behind the rising inequality in India, which according to a report is the second worst in the world after Russia? A. Most of the reforms that successive Indian governments have discussed over the last two decades or so haven’t taken place on the ground level, be it labour reforms or liberalizing agriculture. For instance, around sixty per cent of India’s workforce is in the agriculture sector, yet we haven’t invested enough in the sector. There hasn’t been sufficient investment in warehousing and cold storage among other things. The government has controlled the agriculture market. Not only this, the government has also failed to build autonomous institutions or empower private institutions to tackle such challenges on the ground level. Besides labour and agroiculture reforms, our governments have also failed to build the healthcare and eductaion sector. There hasn’t been much investments coming into the sector either, even now. In a nutshell, there have to be investments in education and health. Healthcare should be accessible to the poorest. Lastly, the government has failed to empower the informal sector. The lower strata of the society has to get involved in the economy in a direct manner. They must be motivated to be part of the system. In India’s case, that sadly hasn’t been happening. When they talk about liberalisation, only certain sectors have been opened up. And benefits of liberalisation in these sectors have been accrued to only a few already rich individuals. But sectors of importance to the majority of the population, say the informal sector, haven’t been taken care of. People in the informal sector have been at the mercy of the government. There have been initiatives to improve the health of the informal sector, like the Shop and Establishment Act. Then there is the Model Shop Establishment proposed by the Government of India. But only certain states are following these norms. In terms of employment generation, the government has promised a million jobs a month. I think they have set themselves a pretty unrealistic target. Only if they liberalise the informal sector and properly enforce the rules will such changes happen. 2. According to the November 2016 data on global wealth from Credit Suisse Group AG, India’s rich are getting richer at a faster pace since the Modi government came to power in 2014. Why do you believe is this happening? Are we moving away from the model of welfare state? A. Most of the good things this government is doing with the economy is only helping the rich and certain individuals.I won’t call it crony capitalism, but it isn’t transparent capitalism either. Another loophole that is driving inequality is lack of consistency in policy-making. Also, most of the projects this government is investing in are big-ticket projects, be it infrastructure or telecom and all. But there is minimal investment in sectors employing the majority of our population, including agriculture, education and healthcare among others. Those who are rich are making more money. 3. The same data also showed that Europe had the least unequal societies on earth. So, what have the European governments done right that India has not? A. Look, as the political situations of India and European countries are very different from each other, I wouldn’t like to make a comparison. Having said that, the systems and the governments in European countries offer more opportunities for persons to grow. Why do migrants fleeing war and other calamities in the Middle-East and Africa travel to Europe, and not look at India? Because the system here is designed in a way that stifles growth, unless you have a godfather. Our society is still very hierarchical. We are not open to ideas and innovations, which is a major reason why people with talent but no means are left out of the system. So, I believe it is a question of culture that we have had for years that has kept us from reaching our full growth potential and in the process, empower individuals. 4. Has demonetisation and a push towards bringing everyone in the formal economy worsened inequality in India? A. Yes, definitely. We are yet to find exact numbers on how much damage demonetisation caused to the Indian economy. Demonetisation shouldn’t have happened. Even though Prime Minister’s supporters claim that the intent behind the move was right, I believe it could have been done in a different way. Demonetisation would always have disastrous consequences for a country which had 85 per cent of its workforce in the informal sector. So, yes. Demonetisation has increased inequality. It has killed job opportunities for those at the lower rung of the society. It will still take years for us to understand the direct and indirect consequences of demonetisation. 5. Could you say how inequality plays out on the ground level? How does one perceive it in everyday life? The problem of economic inequality is reflected in lack of opportunities for the youth. We are not creating enough jobs for them. Lack of investment in education means that the youth are not well-equipped to handle opportunities, when they come up. If the middle-class and the lower middle class are not able to enjoy the opportunities being created as result of GDP growth, then what’s the use of such growth? 6. How do you see the current government’s income redistribution polices, or the ones that are in the pipeline? A. We are expecting the announcement of a Universal Basic Income scheme in coming years, which would really be a game-changer. Also, the JAM (Jan Dhan Aadhar and Mobile) is another revolutionary step that will help plug subsidy leakages. Obviously, there are privacy concerns around the whole Aadhaar project. Thirdly, if we could have social security net, that would have a significant impact on bringing down inequality levels in the country. Another thing that would help is taking care that the laws you write off have positive impact on people at the bottom of the society, not just for the top one per cent. Writing off 150 laws to reduce red tapism will be of no use if they don’t concern those at the lowest rung of the society. 7. Are minorities worse off in terms of inequality in India? A. Yes, the Sachar Committee Report painted a very grim picture of the economic state of minorities in the country. The exclusionary rhetoric of the the government politicians, or those associated with the RSS and allied groups, isn’t helping either. What’s more depressing is that the Prime Minister hasn’t come out and spoken out against these assaults on minorities. Having said that, the most worrying aspect is a weak opposition that is not being able to defend the economic and social attacks on the minorities by the government.